As you read in my monthly sponsor spotlight, EpicLinen specializes in luxurious quality linens for the home as well as linen fabrics for seamstresses. They truly have linens for every nook in your house. Don't forget, EpicLinen has a special coupon code for Va-Voom Vintage readers, save 20% off now through the 30th using code VVV LINEN, excludes "special offers" section. I would spend it on the vintage BBQ set!!! I love it! WOW! Didn't even know about this company....THANK YOU!!!!!! 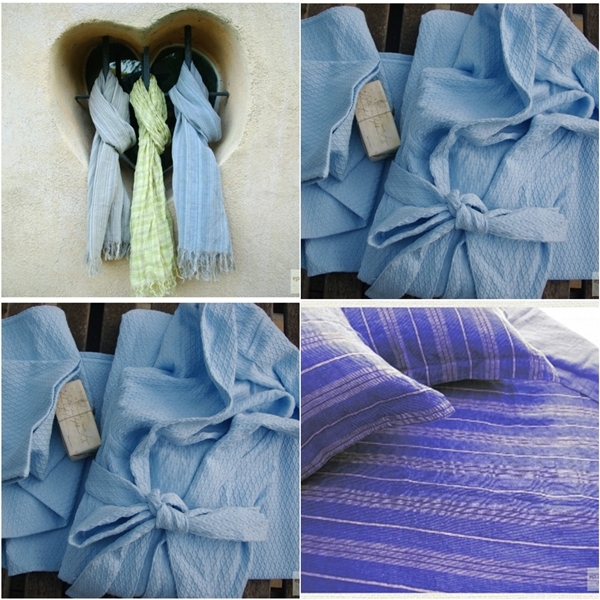 I adore linen so very much! I recently bought some cornflower blue that makes my heart melt whenever I look at it. So cute! I can't wait for summer and bbqs! Thank you for the giveaway, these items look adorable. the scarves and robes look so luscious and elegant! Im on a mad kick to sort out my house right now so this is perfectly timed! 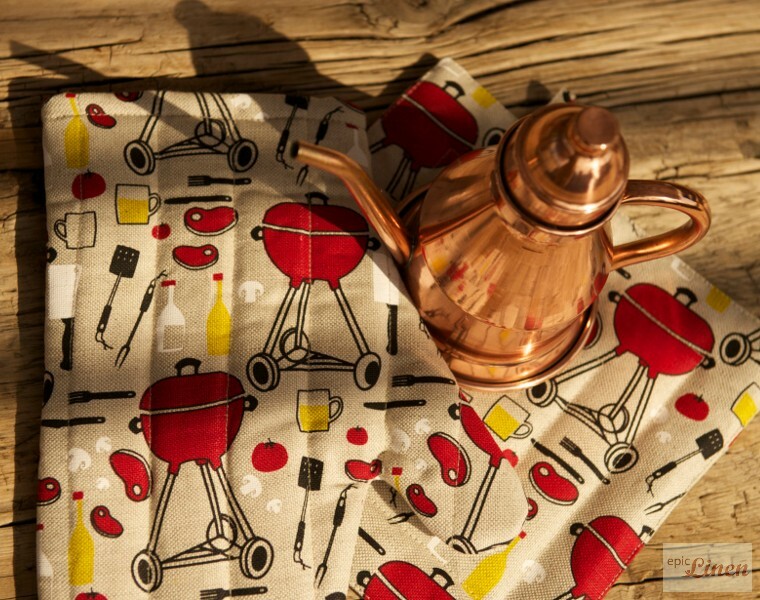 That BBQ print is adorable, it makes me want summer to get here even faster. The barbecue set is fab! The scarves are so pretty! I am loving the fabric. Linen clothes are the best and I love the stripes and check patterns they have. Okay, I'm a huge fan of pretty linens and using practical AND beautiful things! This is great! I'd be looking at linen fabric, love that stuff! Ooooh, it would be cool to win some nice fabric for new clothes!